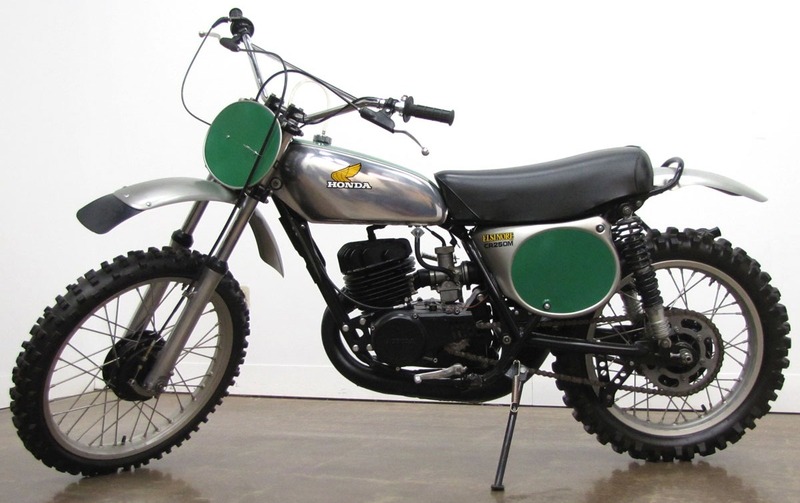 This spring the National Motorcycle Museum will create an exhibition that’s a tribute to off-road competition in America titled DIRT RIDING USA. 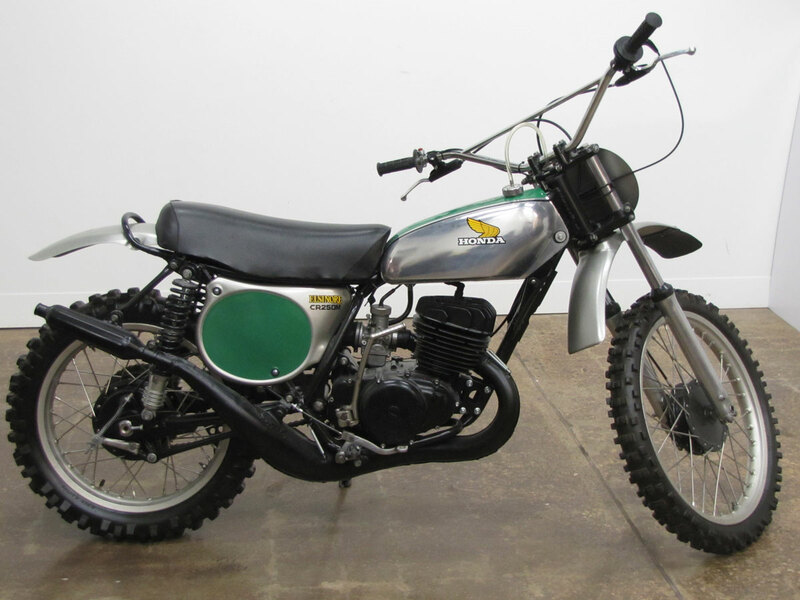 Motocross history will be the biggest component, and among motocross bikes, there are few as remarkable as the Honda CR250M Elsinore. 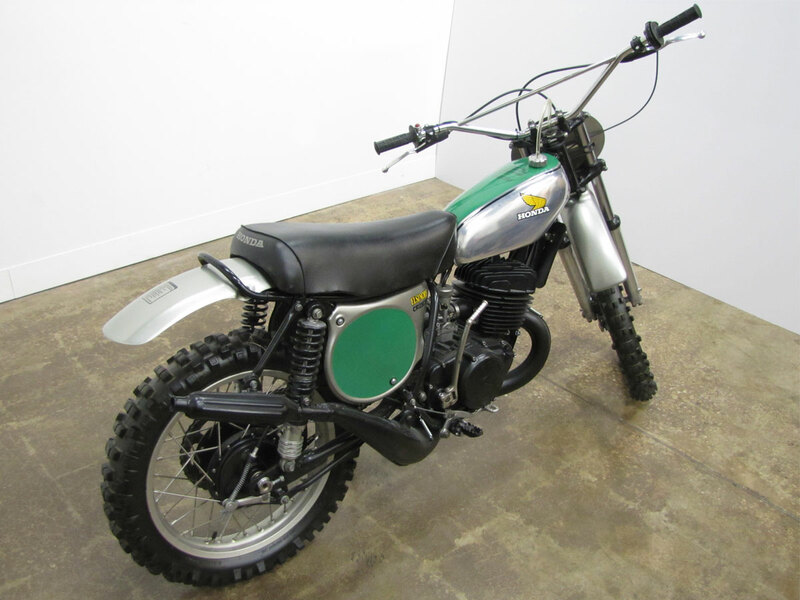 The CR250M donated by Museum supporters Tina and Kevin McGill, one of over a dozen fine off-road bikes they donated, will be featured in the exhibit, as will Jay Gaard’s, this week’s featured bike. 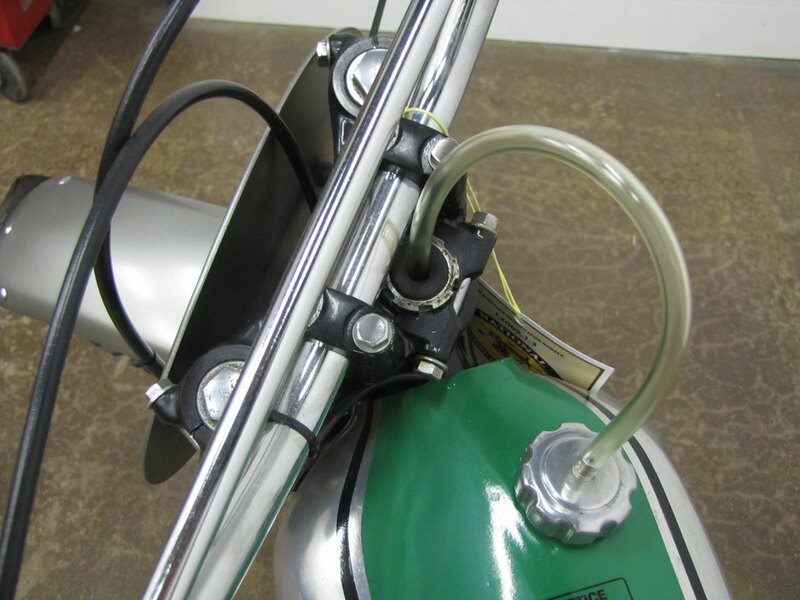 If you have motorcycles, gear, posters, etc you’d like to loan for exhibition, please let us know. 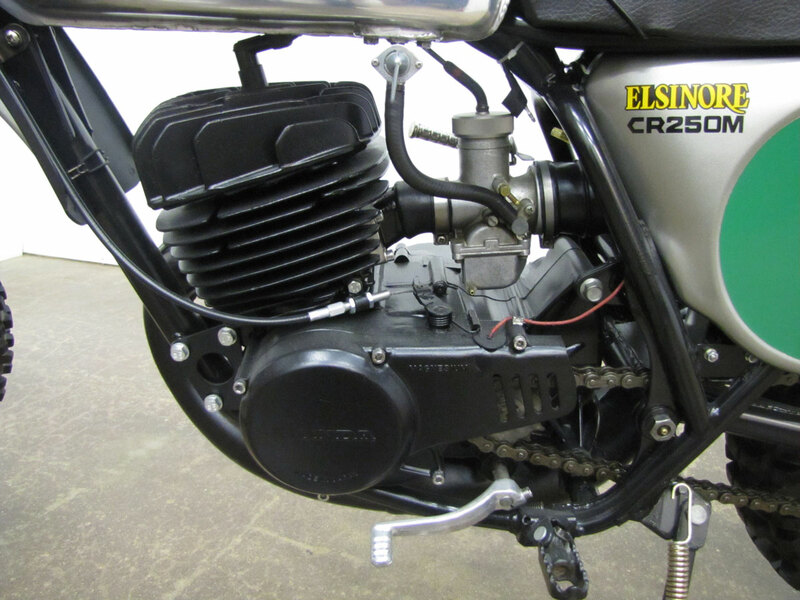 A little background on the 1973 Honda CR250M Elsinore….. 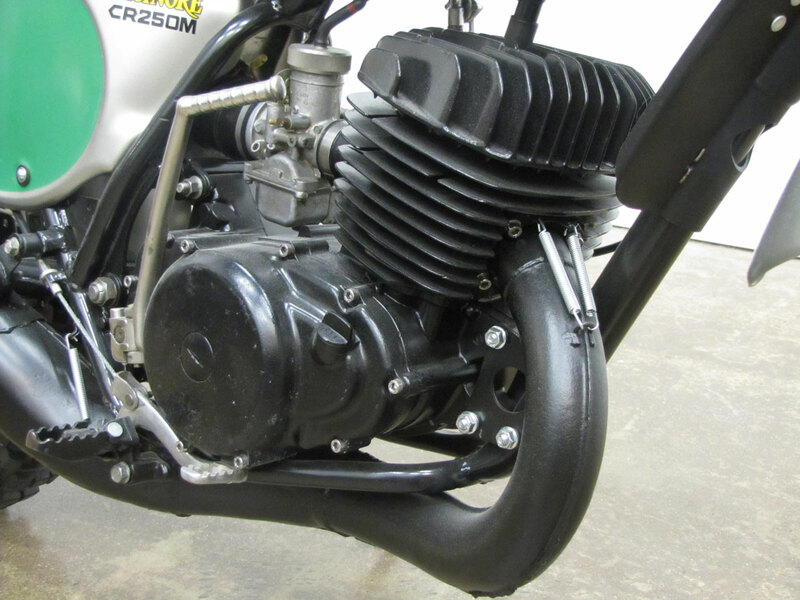 Since just after World War II Soichiro Honda had let the world know the four-stroke engine was king, the only type of power-plant he’d ever use to power a motorcycle. 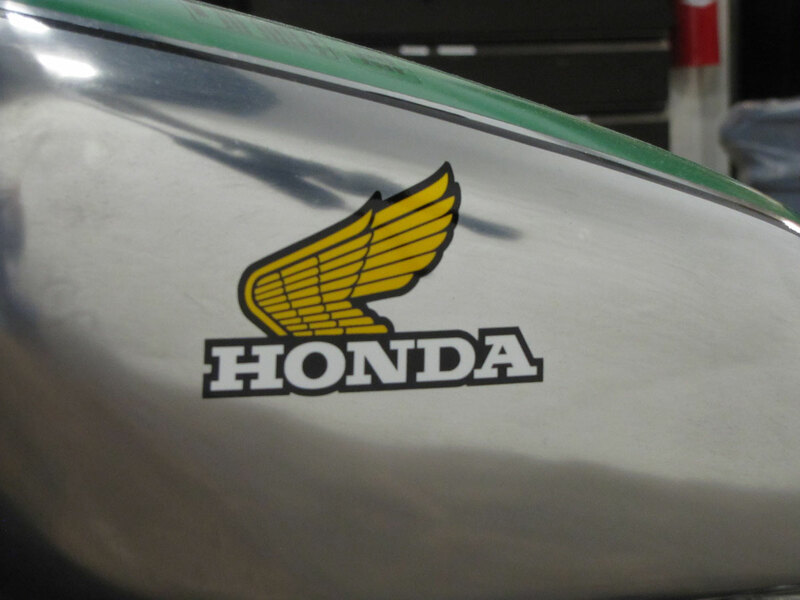 But when the Japan Motorcycle Association introduced a domestic motocross championship in 1967, Honda engineers began testing two-stroke engines, getting into the game with Yamaha and Suzuki. 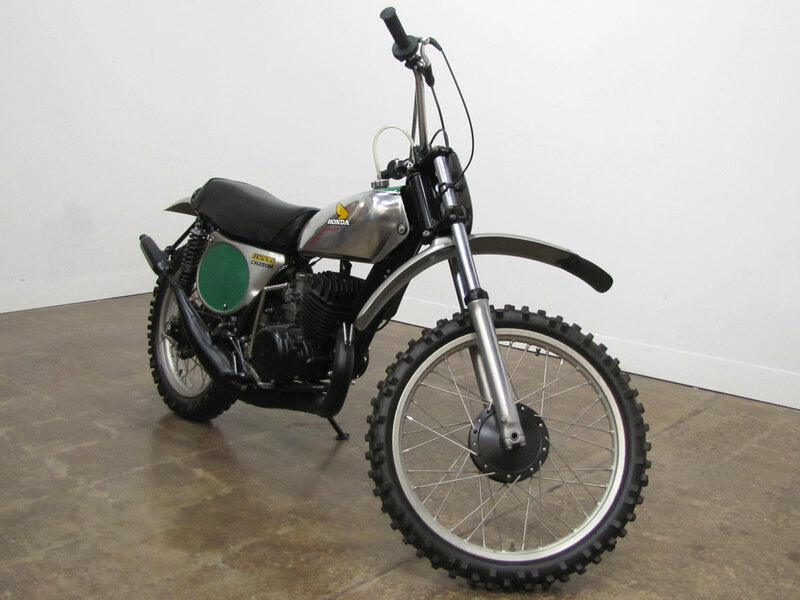 From those works test bikes came the prototype of the CR250 tested in Japan in 1971, in California in 1972. 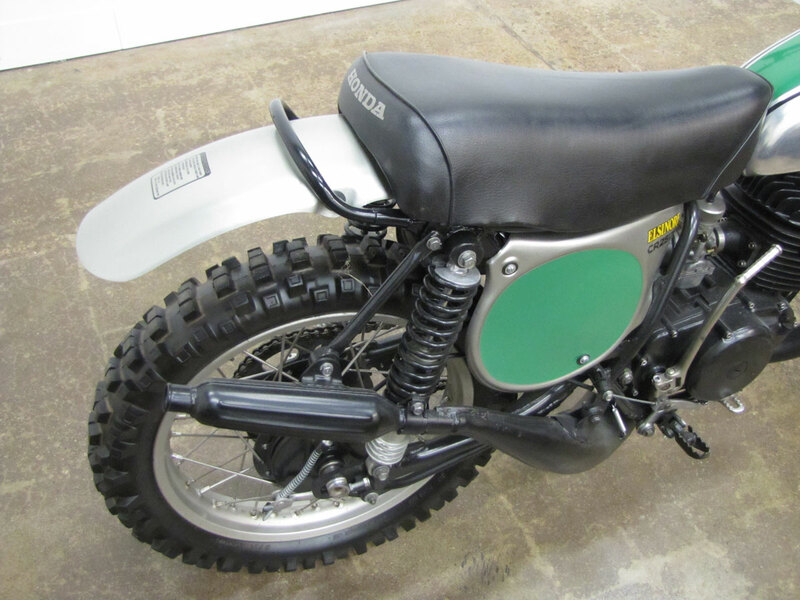 For possibly the first time in their off-road motorcycle development, Honda did not adapt a production street bike as they had done with the SL350, though the XL250 MotorSport, a three-valve 250 single enduro bike that was part of the MX development program, came into production almost simultaneously. 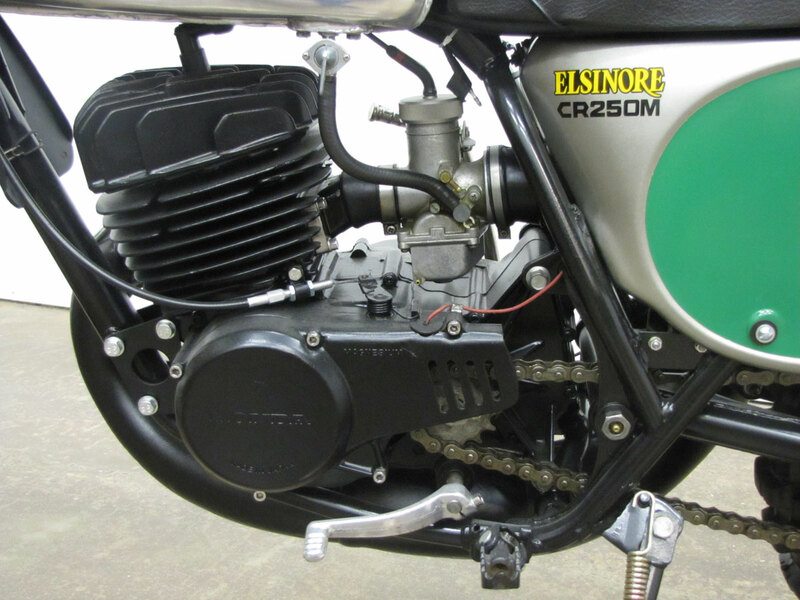 The CR250M Elsinore, named for the Elsinore Grand Prix in California, blew out of showrooms in 1973, especially after Gary Jones won the 1973 AMA 250 National MX Series on one. 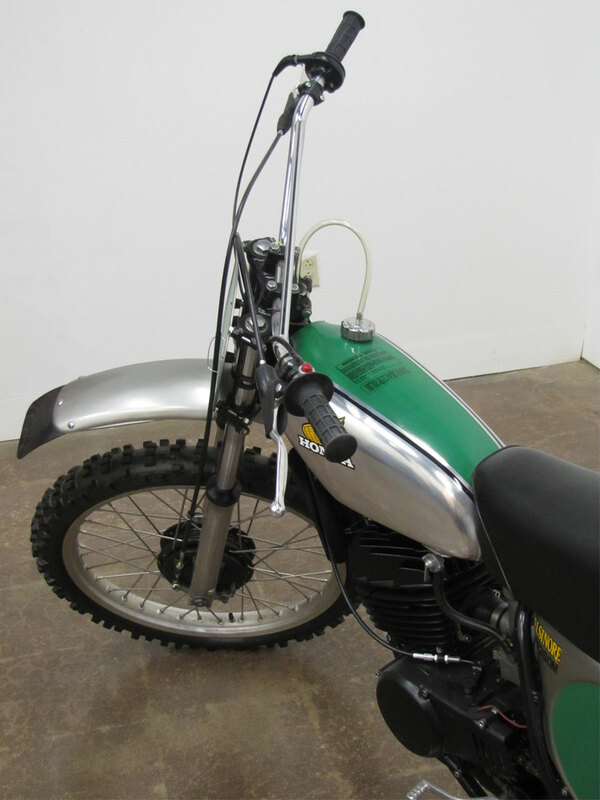 In 1974, the 125cc version appeared, sold even better and can be credited with MX expansion in America. 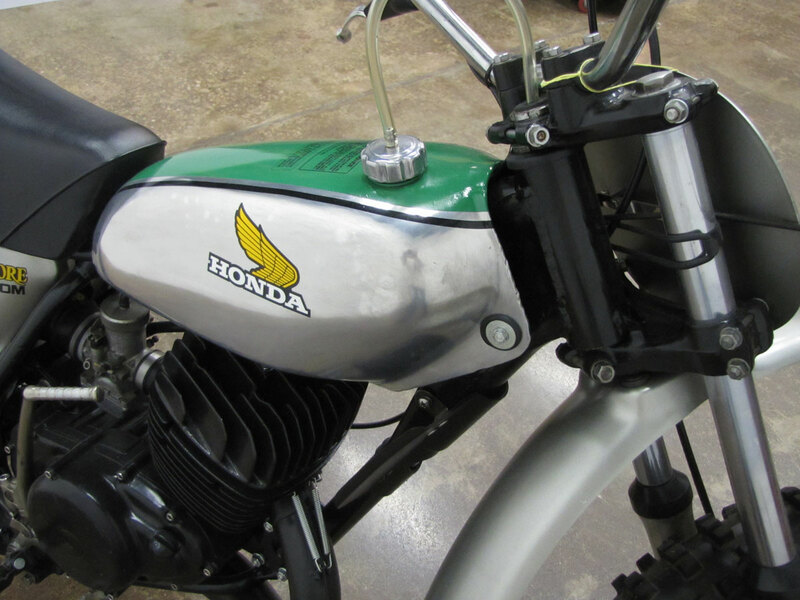 Where almost no Hondas had been at motocross starting gates, from 1973 on they were filled with them. 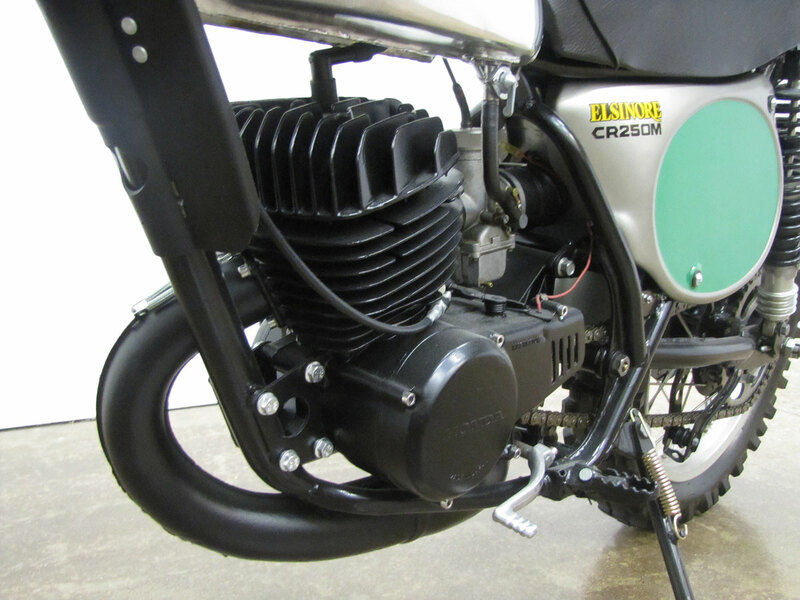 Each piece on the Elsinore was a new design for Honda and extensively developed, especially to save weight. 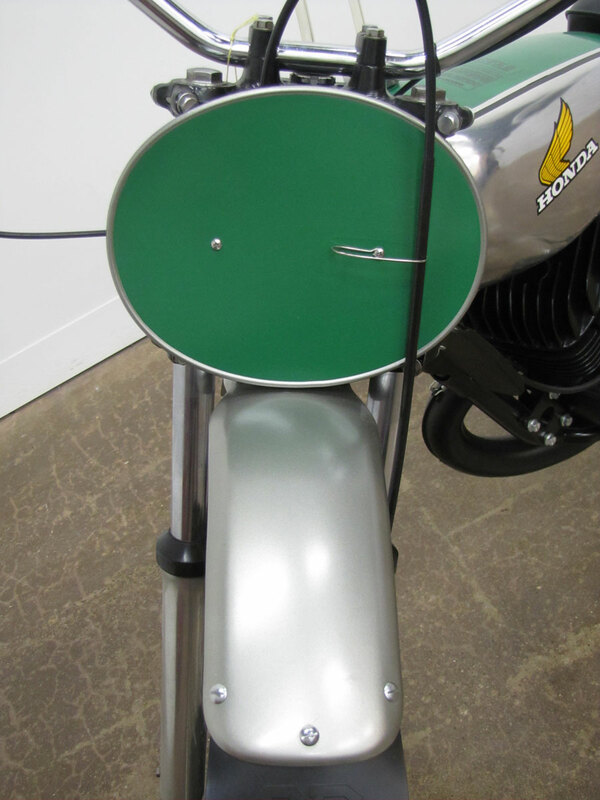 The fuel tank on the 250’s was bare aluminum with attractive stripes and a plastic cap with vent. Engine side cases were magnesium. 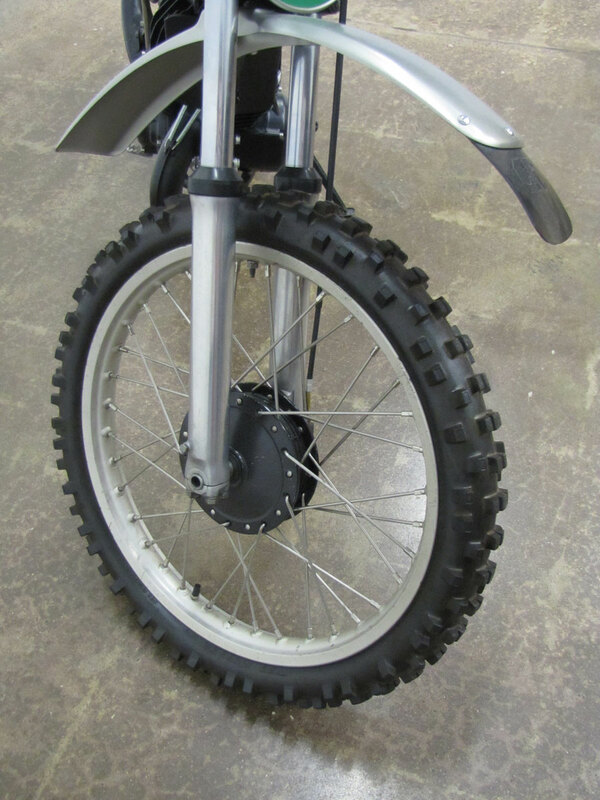 Rims were alloy with no flanges to hold mud. 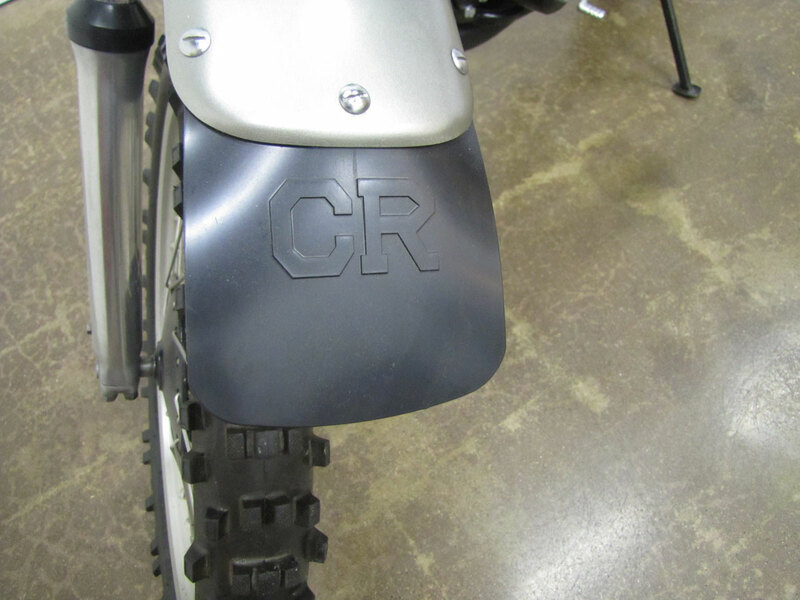 Fenders were plastic with a distinctive mud flap at the front with raised letters proclaiming CR. 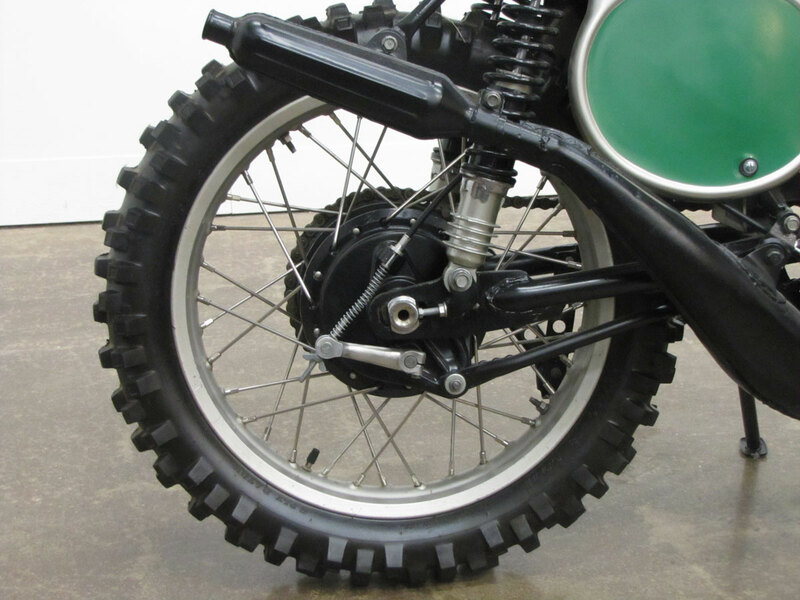 Typical for the time, wheels were 21 and 18 inch with small drum brakes, shocks were finned with aluminum bodies. 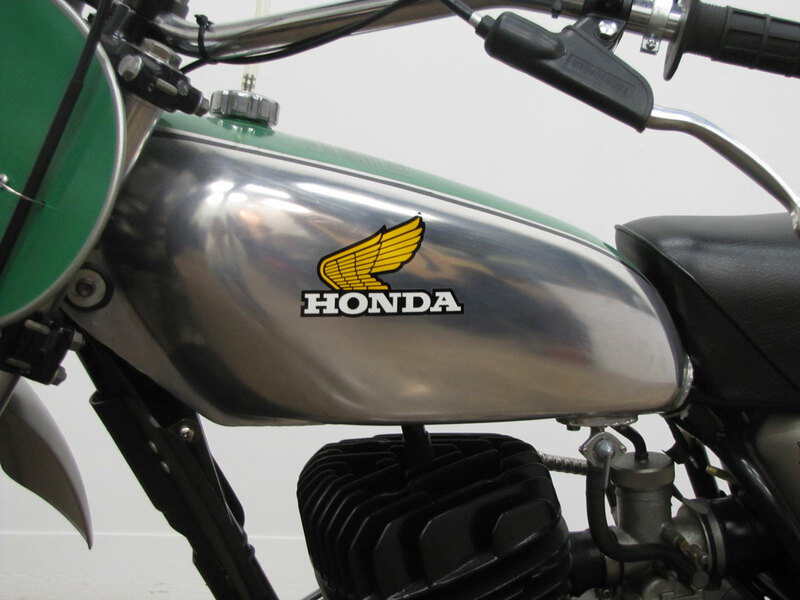 1973 was the beginning of many motocross and supercross championships for Honda. One irony exits in all of this. 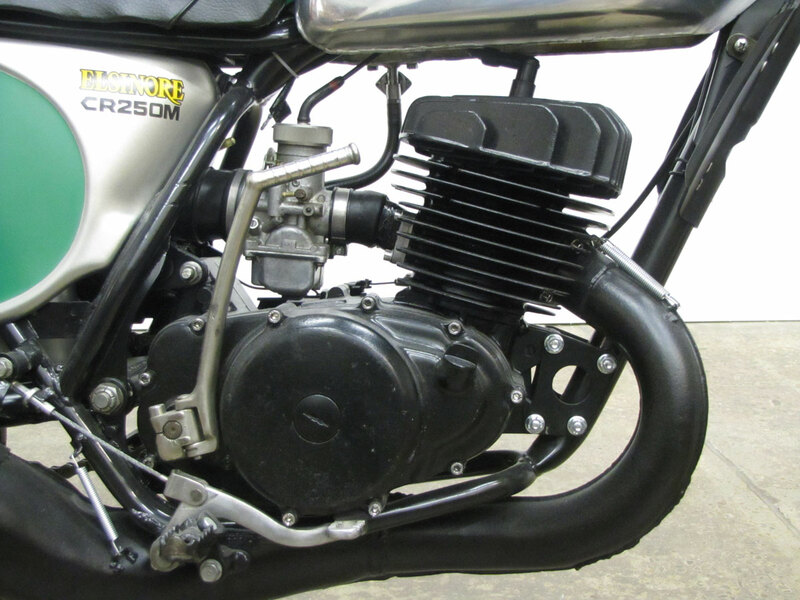 Primarily due to emissions restrictions, today’s motocross formulas call for four stroke machines and those two-stroke off road bikes that are still manufactured, though not by Honda, are for the most part relegated to enduro, trials and casual dirt bikes. 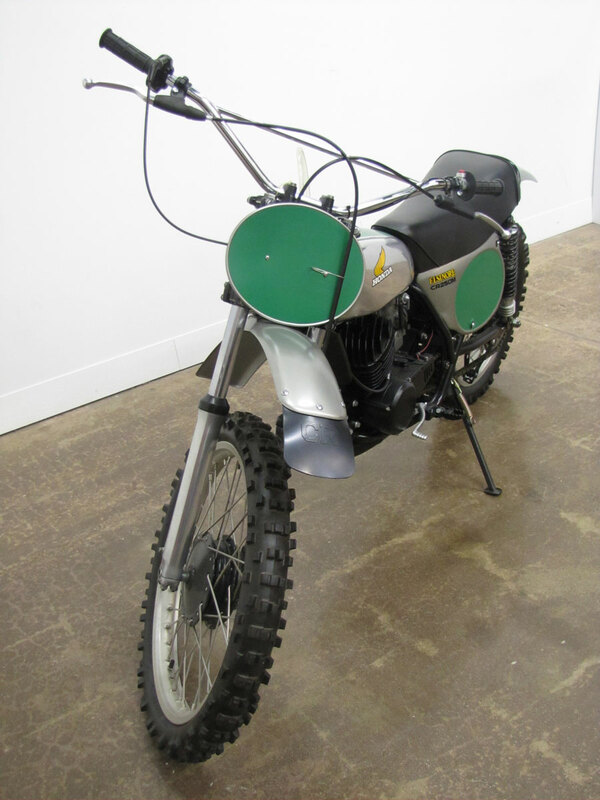 Our thanks to Jay Gaard for loaning us this fine CR250M. 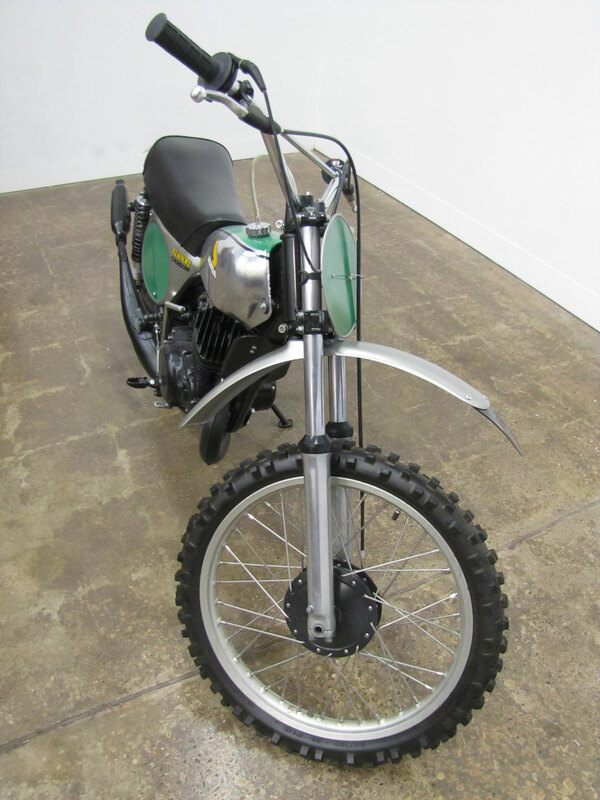 A couple years ago I donated my 72 Honda SL125 and I thought it would be a good fit for this exhibit. Can you tell me if it will be in it please? If so, now I really have a reason to come out. 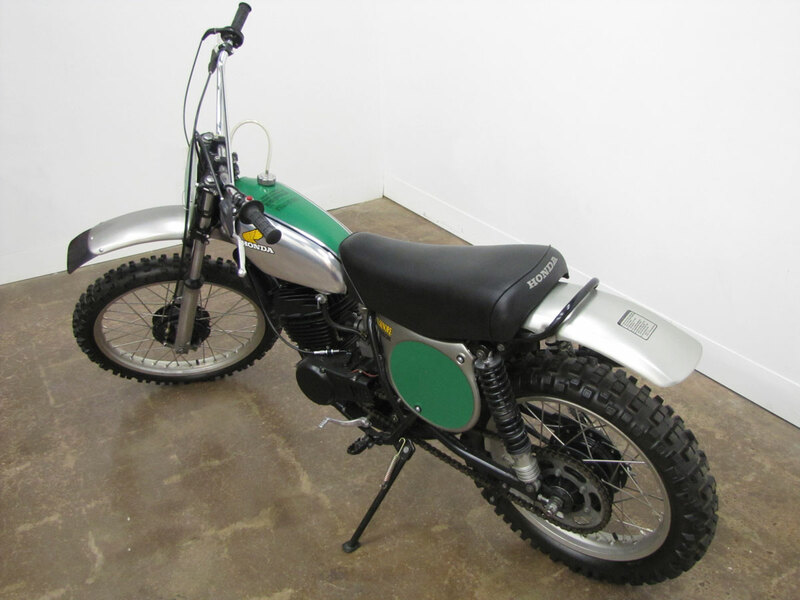 I have a 1972 Honda WT-125 street enduro 2 stroke My wife owns and what she had when I met her in 1978. I am interested in knowing more to Loan. 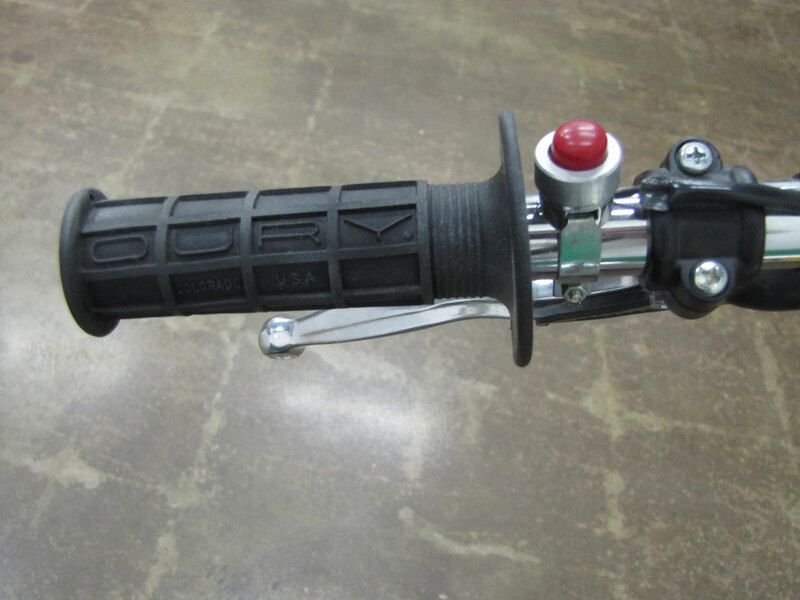 The bike has not run in years but has been garaged out in Southern California . 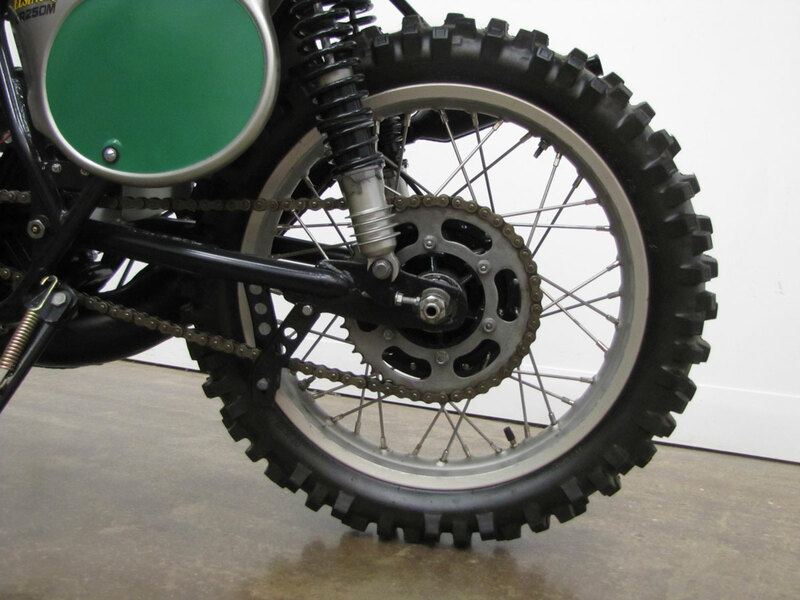 When will the :”Dirt Riding USA” exhibit open?